What do you think of when you hear the word Guild? If you’re anything like me, you probably weren’t quite sure what a guild was when you first heard of it. Furthermore, you might not have really understood the importance of actually joining one; after all, you wear all the hats in your business, do you really need to be a part of a formal organization? The Handcrafted Soapmakers Guild was formed in 1998 by a small group of soapmakers with a singular vision: to promote the handcrafted soap industry. The very first annual conference was held in 1999 in Minnesota, and an industry tradition was born. Board Member Catherine McGinnis adds extra love to a few attendee Registration Bags at the 2018 Annual Conference in Atlanta, GA.
As word spread and interest grew, so did the Handcrafted Soapmakers Guild until, in February of 2013, the membership voted to expand the scope of the association to include those who also make handcrafted cosmetics like lotions, lip balms, etc. This vote brought the organization from the “Soapmakers Guild” to brand new potential and the Handcrafted Soap and Cosmetic Guild was born. What’s the Point of a Guild? When you’ve been a metaphorical lone wolf most of your entrepreneurial life, especially if you’ve found success, you might not know exactly why you need an organization like the Handcrafted Soap & Cosmetic Guild (it’s ok-we get it). HSCG Radio, a series of educational podcasts, is one of many amazing resources available in the HSCG How-To Library. The Handcrafted Soap & Cosmetic Guild offers a lot of benefits for members of varying skills and levels. If you’re a novice, a beginner in the industry, you’ll be able to take advantage of beginner-level tutorials, discounts on conference attendance and networking with like-minded handcrafters. If you’re a bit more advanced, perhaps with your own business and brand, you’ll find intermediate-level resources like a wholesale toolkit, insurance for your business and advertising through our site in the Handcrafted Soap and Cosmetic Directory. 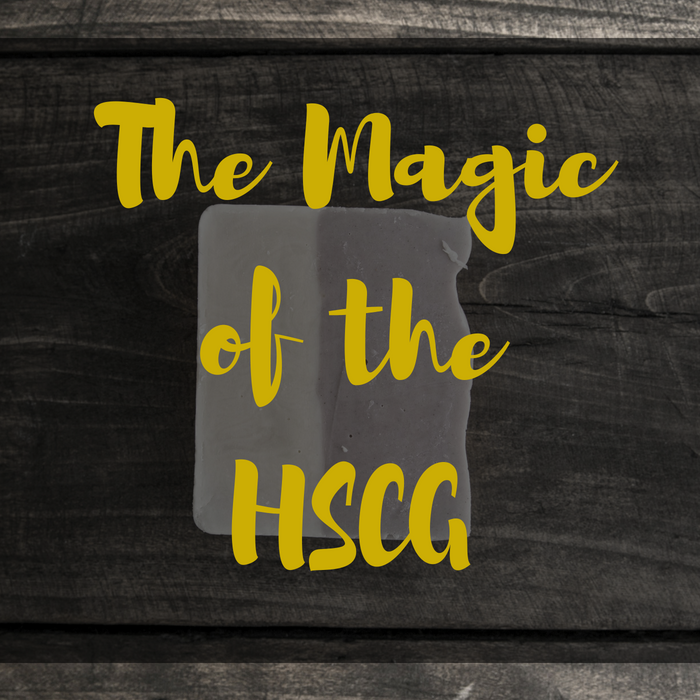 Here’s where the magic really starts to happen: the HSCG also has your back. Executive Director Leigh O’Donnell frequently joins HSCG Advocate Debra Carnahan in Washington D.C. to make sure that the handcrafted soap and cosmetic industry is treated fairly and represented accurately. That magic continues in the form of a support system like no other and networking opportunities that put you in touch with some of the industry’s leading experts. This industry is growing rapidly, but it’s still common to feel isolated, especially if you’re one of very few handcrafters in your area. The HSCG offers a Facebook group so that you can connect with over a thousand fellow Members with the same passion as you- making incredible products and growing your empire. Pop in a question and expect to get a lot of answers from different perspectives; the real beauty of this industry is in the giving nature, and you’ll find a lot of friendly faces in the HSCG membership. Turning your passion for handcrafting products into a ceiling-shattering momentum that will take your love from hobby to empire takes a lot of work. The HSCG’s mission is to help you harness that energy, that desire to create products that are beautiful, functional and eventually, profitable. Being a part of a large organization of like-minded individuals will help keep you focused and give you the tools you need to achieve your goals and follow your dreams.